1. 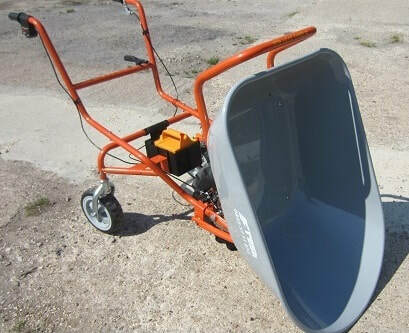 The electric wheelbarrow is a power barrow equipped with chevron pleated front tyres and two rear castor wheels to ensure the operator doesn't have to lift the wheelbarrow and bear any weight of the load in the skip. 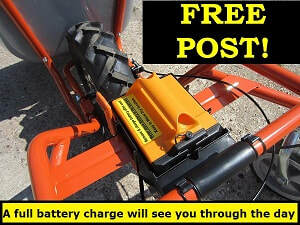 See this video of the electric wheelbarrow in action. 2. Old video of the electric wheelbarrow showing what it can do. Little effort is required to operate this electric wheelbarrow.